1. Cooray, V. and Dayarathna, N.W.K.D.K. 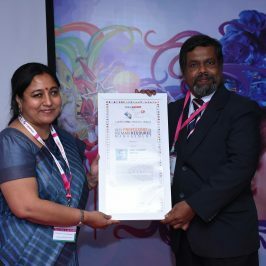 (2017) Aligning High Performance Work Systems with Internal Organizational Context: Case Studies from Sri Lankan IT Companies. Sri Lankan Journal of HRM, 7 (1). 2. Dayarathna, N.W.K.D.K. (2017) Human Resource Management System Strength. One Hour Reading on HRM, 1 (1). 3. Dayarathna, N.W.K.D.K. and Dilhani, W.G.N. (2016) Impact of Work Life Balance Practices on Employee Performance of Female Machine Operators in the Sri Lankan Apparel Sector. Human Resource Management Journal, 4(1). 4. Dayarathna, N.W.K.D.K. and Nanayakkara M.K.N.P. (2016) Turnover Intention of Non-Executive Level Employees in Selected Super Markets in Colombo in Sri Lanka. Human Resource Management Journal, 4(1). 5. Dayarathna, N.W.K.D.K. and Welikala, D. S. M. (2015) The Impact of Emotional Intelligence on Employee Job Performance: An Empirical Study base on the Commercial Banks in Central Province. Human Resource Management Journal, 3(1). 6. Dayarathna, N.W.K.D.K. 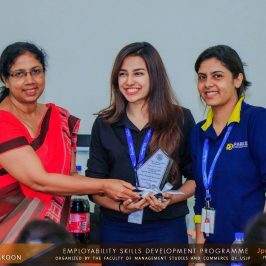 (2015) The Effect of High Performance Work System Strength on Organizational Performance in the Banking Industry in Sri Lanka, FMSC Research Symposium 2015, Faculty of Management Studies and Commerce, Sri Lanka. 7. Dayarathna, N.W.K.D.K. 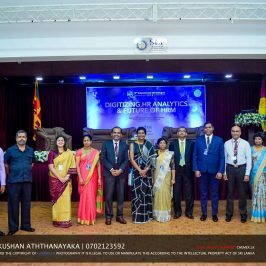 (2014) The Effect of High Performance Work Systems on Organizational Performance: A Case Study of Two Commercial Banks in Sri Lanka, Annual Research Symposium 2014, National Centre for Advanced Studies, Sri Lanka. 8. Dayarathna, N.W.K.D.K. (2012) Do High Performance Work Systems Pay Off in Asia? 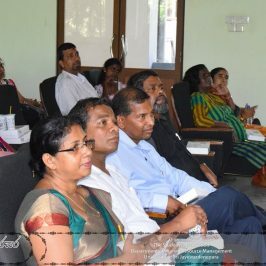 9th International Conference on Business Management (ICBM) 2012, Faculty of Management Studies & Commerce, University of Sri Jayewardenepura, Sri Lanka. 09. Dayarathna, N.W.K.D.K. (2011) The Effect of High Performance Work System Strength on Organizational Effectiveness in the Banking Industry in Sri Lanka, 2011 Research Student Colloquium, School of Business, Faculty of Business, Economics & Law, La Trobe University, Australia. 10. Dayarathna, N.W.K.D.K. (2010) High Performance Work System Strength and Organizational Effectiveness: A Case Study of Three Sri Lankan Banks, 2010 Research Student Colloquium, School of Management, Faculty of Law and Management, La Trobe University, Australia. 11. Dayarathna, N.W.K.D.K. (2010) High Performance Work System Strength and Organizational Effectiveness: A Case Study of Three Sri Lankan Banks, 2010 Orientation to Research Seminar, Academic Language & Learning Unit, La Trobe University, Australia. 12. Dayarathna, N.W.K.D.K. (2010) High Performance Work System Practices in Privately Owned Sri Lankan Banks, 24th Annual ANZAM 2010 Conference, Adelaide, Australia. 13. Dayarathna, N.W.K.D.K. (2009) High Performance Work Systems and Customer Service Effectiveness in the Sri Lankan banking sector, 2009 Research Student Colloquium, School of Management, Faculty of Law and Management, La Trobe University, Australia. 14. Dayarathna, N.W.K.D.K. (2009) High Performance Work Systems and Customer Service Effectiveness in the Sri Lankan banking sector, ANZAM Doctoral Conference, Victoria University, Australia. 1. Dayarathna, N.W.K.D.K. 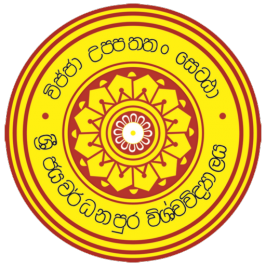 (2018) Manawa Sampath Kalamanakaranaya-Nayaya saha bhavithaya.5th edition, S.Godage International Publisher, Colombo, Sri Lanka. 2. Dayarathna, N.W.K.D.K. (2018) Human Resource Information Systems, 2nd edition, S.Godage International Publisher, Colombo, Sri Lanka. 3. Dayarathna, N.W.K.D.K. (2018) High Performance Work Systems, 1st edition, Author Publication, Colombo, Sri Lanka. 4. Dayarathna, N.W.K.D.K. (2018) Research Ethics, 1st edition, Author Publication, Colombo, Sri Lanka. 5. Dayarathna, N.W.K.D.K. (2015) Research Design for Beginners, 3rd edition, S.Godage International Publisher, Colombo, Sri Lanka. 6. Dayarathna, N.W.K.D.K. (2007) Manawa Sampath Kalamanakaranaya-Nayaya saha bhavithaya -1”, 1st edition, S.Godage International Publisher, Colombo, Sri Lanka. •I reviewed a book titled “High Performance Companies” which was authored by Prof. Nitin Pangarkar [This book review was published in Thunderbird International Business Review (July/August issue in 2014 in USA)]. •I was appointed as a reviewer by Emerald Group Publishing Ltd. in UK to review a book titled “Strategic Staffing: A Systems Approach” which was authored by Dr Bernard O’Meara and Dr Stanley Petzall (in 2011). 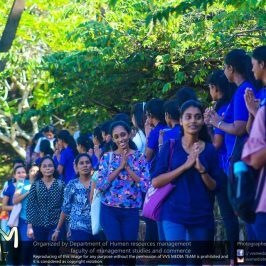 •Editor-HRM Journal-Department of HRM-University of Sri Jayewardenepura. Many seminars and workshops for developing professionals and students have been conducted. Served as a panel member/reviewer at research sessions/conferences. And also served as an editor /reviewer in curriculum revisions and journals. Evaluator of PhD and MBA theses. Keynote speaker at conferences.